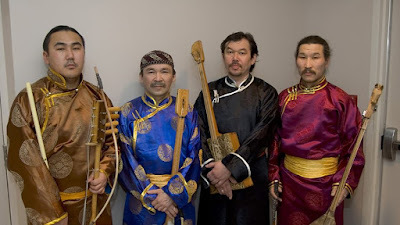 From the mountainous country of Tuva comes the throat singing group, Huun Huur Tu. They bring their ethereal Asian folk music to a Seattle radio studio in 2017. The name means "sky propeller", referring to the radiating beams of sunlight that break though clouds and make a pattern like propeller blades on a helicopter.